LetsGoDigital focuses on the Dutch market. Despite this our site is often visited by international readers. We want to offer them 100% verified and high-quality content. Join our network and get listed on the front page of our US Edition for free! 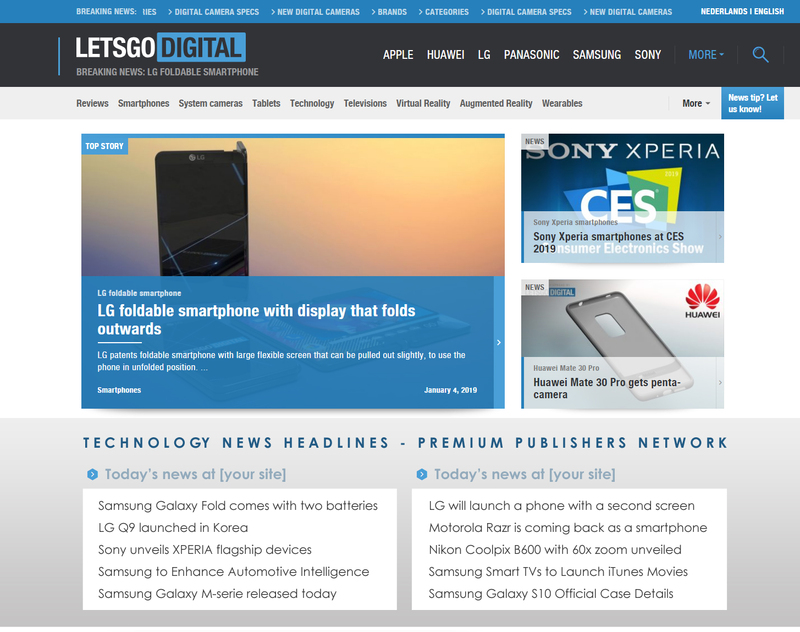 Your 5 latest technology headlines featured above the fold on the LetsGoDigital US front page. A great way to kickstart your articles across a wider audience. We want you to distribute our exclusive content in your language area. As your breaking-news headlines will be presented above the fold, we have limited space, for just 4 Premium Publishers. Please contact us to discuss the details and possibilities.